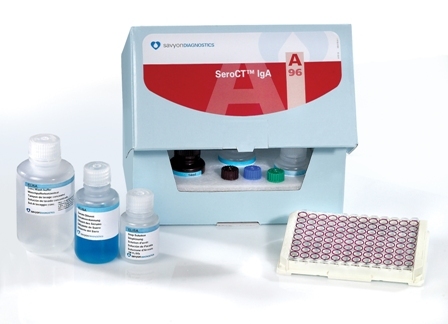 SeroCT™ is the first ELISA based assay for the detection of C. trachomatis antibodies in which C. trachomatis species specific peptides are used as antigens. 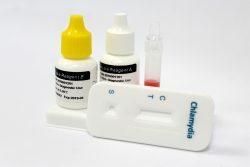 The peptides used in the kit originated from Chlamydia species specific immunodominant proteins. They share common sequences with all the C. trachomatis serovars and have no homology with other Chamydia species. 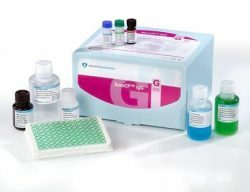 SeroCT™ offers high sensitivity and specificity in detecting IgG and IgA anti-chlamydia antibodies and allows complete diagnosis of acute, past and chronic infection.  No cross species reactivity, especially with C. pneumoniae has been observed. SeroCT™ assay results are express as Cut Off Index (COI) values that enable results comparison on a standardized basis. Semi-quantitation of the results, from cut off index values to end point titer values, can be achieved by using a conversion table. SeroCT™ is performed on sera and therefore it does not depend on precise sample of the infected site.